Put the minced lamb in a bowl and add the garlic, chilli, parsley and the breadcrumbs. Mix well and grate the onion inside. Season well and mix. Form the meatballs. I prefer to be smaller in size. Leave them for 20 min in the refrigerator. Prepare grill pan, and put it to a high heat. Bake the meatballs in the pan for 10-12 min. 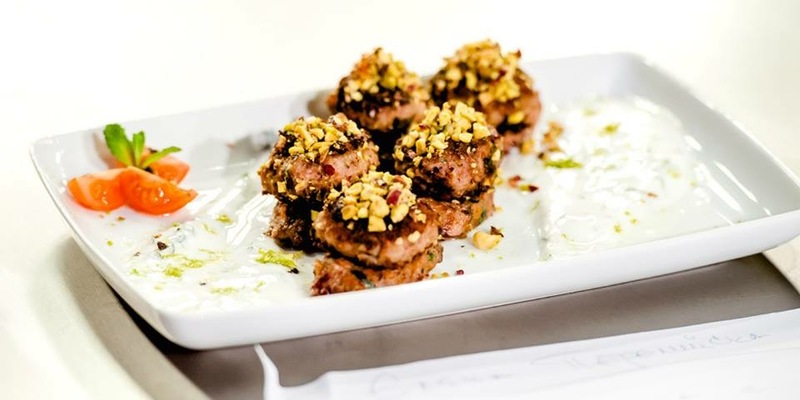 Place the chopped nuts on a plate and roll the finished meatballs. Serve with yogurt and appropriate salad.